MGVCL Recruitment 2018 – Apply For 69 Vidyut Sahayak Vacancy: Madhya Gujarat Vij Company Limited issued the MGVCL Career Notification. The advertisement is released for filling up 69 Vidyut Sahayak Vacancy 2018. This participants who are looking Job in Gujarat State may apply for MGVCL Vacancy 2018. However, the mode of application submit is online. The last date of submit MGVCL Vidyut Sahayak Jobs is 16th August 2018. For additional information kindly visit official site mgvcl.com. Information regarding Madhya Gujarat Vij Company Bharti you may read given below article carefully. This is a great opportunity for candidates those are completed their Graduation. MGVCL Recruitment 2018 is inviting applicants for filling up 69 Vidyut Sahayak Vacancy. 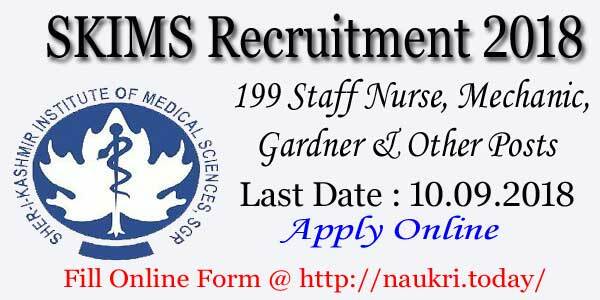 Thus applicants those are interested and also fulfill eligibility criteria may apply either here or official site. Furthermore, information like eligibility criteria, application fees, selection procedure and how to apply are mention below. Applicants will get select according to their performance in written examination/online test. The department will conduct examination for MGVCL Recruitment of Vidyut Sahayak Vacancy. In written examination there will be 100 questions and contain equal marks. For more details check official notice. What is the Age Criteria For MGVCL recruitment 2017 – 18 ? Information Related to Application Fee, Salary & selection Criteria For MGVCL Vidyut Sahayak Vacancies 2017 ? How To Fill Online Form For MGVCL recruitment 2017 – 18, Gujarat Electricity Board JA Jobs ? How Much Pay Scale will paid or MGVCL Vacancies 2017 – 18 ? How I Apply Online Form For MGVCL Recruitment 2017 – 18 Security Watchman Jobs ? candidates who want to apply online for MGVCL Recruitment 2018 must check eligibility criteria. If applicants find not eligible for Vidyut Sahayak Vacancy then their application form is rejected. Thus applicants must check given below education qualification, age limit & others to ensure their eligibility. For more details check MGVCL Notification 2018, link available below. For MGVCL Recruitment 2018 fess will be paid through online mode only using net banking, credit card, debit card. Then download MGVCL Job Notification and then read it carefully. Click on Apply Online for Vidyut Sahayak Posts. Now enter all personal information to get login id and password. After that login with your id & password. Now fill your educational and other require information. Make payment of application fees through online mode on;ly. Submit MGVCL Recruitment 2018 Application Form after rechecking. Conclusion: MGVCL Recruitment 2018 for 69 Vidyut Sahayak Vacancy. Applicants can fill their online application form from 27th July 2018. The last date of Vidyut Sahayak Vacancy in MGVCL is 16th August 2018. Read full article carefully for full information. Do you want to apply for MGVCL Recruitment 2018? If yes, then you can make use of this article. Candidates who have done Bachelors degree in Engineering in Electrical Branch can apply for the MGVCL Junior Engineer Vacancy 2018. The department is inviting application form for total 38 vacant posts of Vidyut Sahayak position in Madhya Gujarat Vij Company Limited. Interested Applicants can fill the application form through online mode from here. The registration process for MGVCL Jobs will end on 6th August 2018. Madhya Gujarat Vij Company Limited commonly known as MGVCL has uploaded in the MGVCL Vacancy Notice on the official website. Applicants who are eligible who wish to apply for the MGVCL Vidyut Sahayak Jobs can fill the online application form now, as the registration process is going on. The candidates will get the direct official links to apply online for MGVCL Junior Engineer Recruitment 2018 at the end of the article. You will also get some simple steps to download the MGVCL JE Jobs Advertisement PDF from the article coming below. The department wants to fill up total 38 posts of Vidyut Sahayak (Junior Engineer) for which Madhya Gujarat Vij Company Limited is inviting online forms before 06.08.2018. The applicants will be selected on the basis of their performance in the Written exam or Online Test. 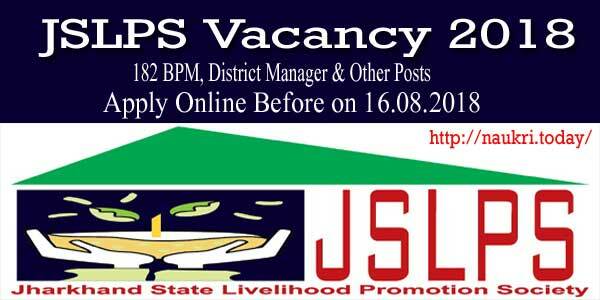 You can read the complete Madhya Gujarat Vij Company Limited Vacancy Notice to know more regarding the selection procedure. Applicants who wish to apply for the MGVCL JE Vacancy 2018 can check the required education qualification here. Candidates must have the Full time or regular B.E. (Electrical)/ B. Tech (Electrical) from recognized University duly approved by UGC/AICTE. Participants should also have knowledge of Computer Operations and have good command over English and Gujarati Language. Contenders who are willing to participant in the Madhya Gujarat Vij Company Limited Jobs should fulfill the age criteria. The applicant who belongs to an Unreserved category should be maximum 35 years old and Reserved Category candidate should be maximum 40 Years old. Age relaxation for the participants who want to apply for MGVCL JE Recruitment 2018. For women applicants age relaxation in upper age limit is 05 years, 10 years in case of Person with Disability and 40 Years for Dependent of Retired Employee of GUVNL & Subsidiaries to apply for MGVCL Recruitment. The application fee for the Madhya Gujarat Vij Company Limited Recruitment is nonrefundable. Candidates who belong to Unreserved and Socially and Educationally Backward Classes need to pay Rs. 500/- as application fee. And, the applicants belong to Scheduled Tribe / Scheduled Caste will have to pay Rs. 250/- as application fee. The participants have to pay the application fee for MGVCL Vacancy through online mode. You can refer the official notification to read more details regarding the procedure to pay the application fee for MGVCL Junior Engineer Vacancy. Candidates who will be selected for the MGVCL Vidyut Sahayak Recruitment 2018 will get a good amount of salary. The department will offer Rs. 26,550/- for the first year and Rs. 28550/- for the second year. You can refer the official advertisement to check the details regarding the Pay Scale and Perks. Now, on the main page click on the option “Career”. Afterward, you will get the “MGVCL Vidyut Sahayak Recruitment 2018” Notification. Read the complete Notification carefully and if you are eligible click on “Apply Online” Link. Then, fill all the details required to apply for MGVCL Junior Engineer Vacancy 2018. After you have completed all the steps, you can take a print of the MGVCL JE Jobs form. Conclusion: MGVCL Recruitment 2018 is now available on the official website i.e mgvcl.com. The candidates who are interested and eligible for MGVCL Vidyut Sahayak Vacancy can fill online form at naukri.today. Applicants can fill the online application form for MGVCL Junior Engineer Jobs before 06.08.2018. You will get complete details regarding MGVCL JE Recruitment from our website. Dear Candidates, If you are waiting for Jobs In Electricity Board Gujarat then here is a good news for you. Madhya Gujarat VIJ Company Limited has released a recruitment notification of Vidyut Sahayak JA Vacancies. There are total 782 Junior Assistant – Vidyut Sahayak Vacancies under UGVCL, MGVCL, DGVCL, PGVCL, GSECL & GUVNL. All the Job Seekers who are interested in MGVCL Recruitment 2017 – 18, they can fill the application form through online mode here. You can submit MGVCL Jobs Online form on or before the last date, that is 02.11.2017. Madhya Gujarat VIJ Company Limited is inviting online application for filling 782 Vidyut Sahayak vacancy in GUVNL & its Subsidiaries. Submission of Online Form for MGVCL Junior Assistant Recruitment has been started from 13.10.2017. This is a great job opportunity for those applicants who are searching Jobs In Gujarat. Appliers must check required Eligibility Criteria For MGVCL Vacancy before filling the online form. To get more information related to UGVCL Jobs like Education, Age, Salary etc. then read the below article. Candidates must have completed regular/ Full Time Graduation degree in any stream from any recognized University for MGVCL JA Vacancy 2017. Applicants must have knowledge of Computer working & English for Vidyut Sahayak Vacancy in Gujarat. Age of the candidates for DGVCL Jobs should be not more than 30 years as on 13.10.2017. Relaxation in age for MGVCL Vacancy is applicable yo to 05 years for SC/ST/Female, 10 years for PH Category/ Ex Armed Force candidates & upper age is applicable up to 40 years for Dependent of Retired Employee of Company. Appliers who are belonging from General (UR)/ SEBC Candidates needs to pay Rs. 500/- as application fee. Other category candidates of SC/ST must paid Rs. 250/- for filling online form for MGVCL Recruitment 2017 – 18. Fees can be deposited through any online or offline mode for MGVCL Junior Assistant Recruitment 2017. Candidates will selected for UGVCL Vidyut Sahayak Vacancy on the basis of Written Examination. Final Merit List will prepare on the basis of Marks obtain in written Examination. pattern for examination for MGVCL Junior Assistant Vacancy is mention below & you can also check from official notification. Written exam will be objective type Online Examination. which contain question of total 100 Marks. There will be negative marking in examination. For each wrong answer 1/4th mark will deducted. Exam will available in both English & Gujarati language. Candidates can check Exam Syllabus which is issued soon on official website. 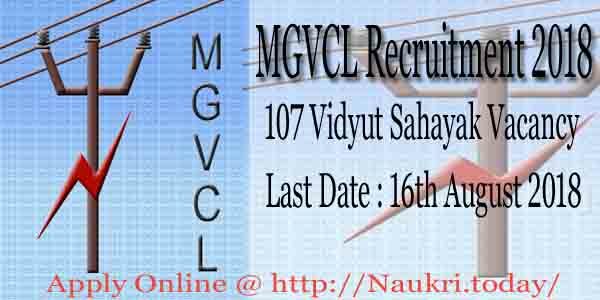 Keep stay with this page for MGVCL Recruitment News. First of all candidates log on to the official website www.mgvcl.com. Now click on Career Section & Check On Official DGVCL Jobs Notification link. Take print out of UGVCL recruitment online form for future use. Conclusion : – MGVCL Recruitment 2017 – 18 For 782 Junior Assistant Vidyut Sahayak Bharti. Candidates can fill online form for MGVCL Junior Assistant Vacancy on or before the last date, that is 02.11.2017. Madhya Gujarat Vij Company Limited is inviting online application for recruiting candidates on 51 Security Watchman Vacancy. Interested applicants in MGVCL Recruitment 2017 – 18 can fill online form here before the last date. You can fill online form for MGVCL Vacancy from 28.08,.2017 to 15.09.2017. MGVCL has recently issued recruitment advertisement of 51 Security Watchman Vacancy. Candidates who are looking for MGVCL Security Watchman Vacancy 2017 – 18 can apply application form through online mode before the closing date. To Get more information about MGVCL Jobs 2017 like Age Limit, Education qualification etc., you can check from given below details. Applicants who are going to fill online form for MGVCL Security Watchman Recruitment 2017 can check Qualification,. Age & Other Details from here. By reading below article you can get full information about Madhya Gujarat MGVCL Jobs Notification. Candidates must have passed SSC or equivalent examination of Indian Armed Forces passed for MGVCL Security Watchman Jobs. Preference will given to those candidates who have hold Diploma in Police Science from Raksha Shakti university. Applicants must have minimum 05 years experience in Army, Navy, Police Air Force or Paramilitary Forces for MGVCL Recruitment 2017 – 18. Age of the candidates should be not more than 40 years as on 28.08.2017 for MGVCL Jobs 2017. Age relaxation is applicable up to 05 years for SC/ST Category candidates for Gujarat Electricity Board Vacancy. Candidates who are belonging from General/ SEBC Category should paid Rs. 500/- for filling form for MGVCL Jobs 2017 – 18. Candidates of SC/ST Category need to pay Rs. 250/- for Madhya Gujarat Vij Company Limited Jobs online form. Selected candidates for MGVCL Security watchman Bharti 2017 will paid pay band Rs. 7,300/- to 17,940/- per month. More information about Pay Scale for MGVCL Recruitment you can get from official notification. Candidates will selected for MGVCL Recruitment 2017 – 18 on the basis of Given factor. pattern of Examination mention here. You can also check more information about Exam Pattern & Syllabus from official mgvcl.com Notification. Eligible & Interested candidates can fill MGVCL Watchman Jobs Online Form on or before the closing date from here. Follow the given steps for Apply MGVCL Vacancy Online Application. After that click on official MGVCL Recruitment Notification link. Read all the details properly. Upload passport size photo & Signature in form carefully. Deposit application fee & Recheck all details before submission,. Take print out of MGVCL Online Form. Now send the hard copy of application on correct address. Conclusion :- MGVCL Recruitment 2017 – 18 for 51 Security Watchman Vacancy. Candidates can fill MGVCL Vacancy Online form or before the closing date, that is 15.09.2017.